The foyers are split onto two levels and are serviced by a licensed bar. A box office is located in the stalls foyer adjacent to the main entrance. 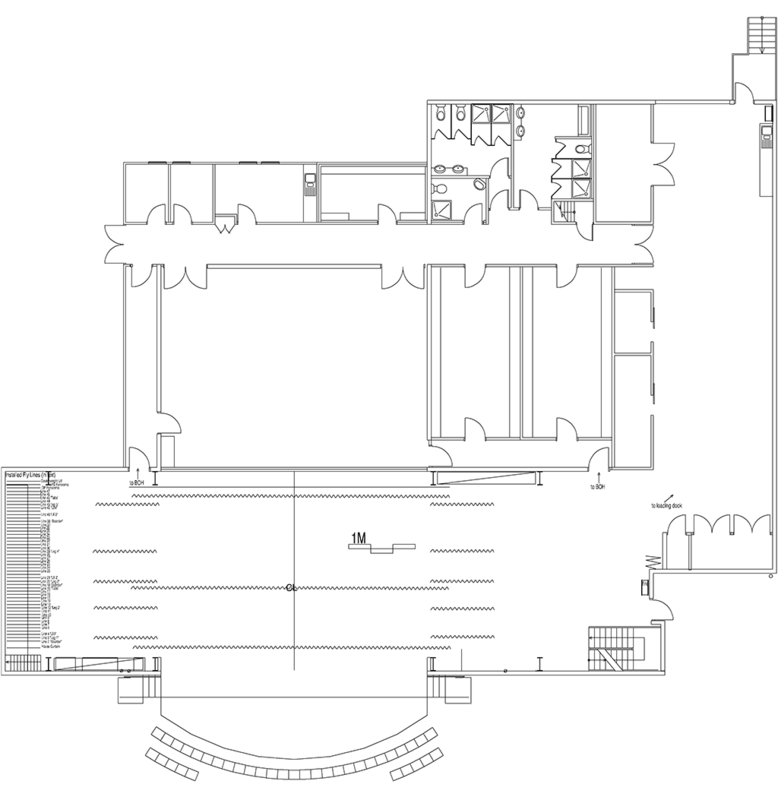 The foyers are equipped with a lighting grid and are of a size to accommodate small performance pieces or musical items pre show. 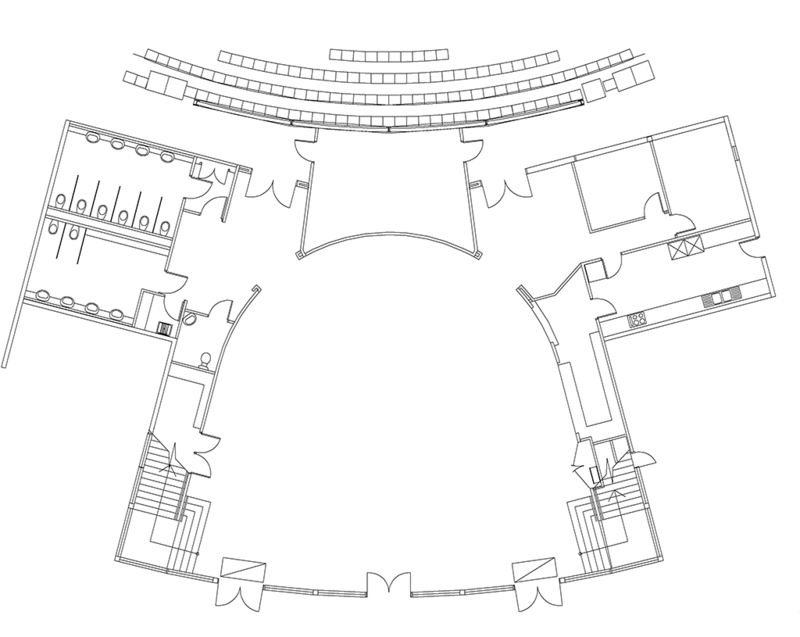 The auditorium may be arranged in several ways to yield differing sizes. In its smaller configuration the Venue can seat 437, the next available size is 690 through to its maximum auditorium capacity of 999. When the orchestra pit is used as a pit or thrust stage the maximum number is reduced from 999 to 957. 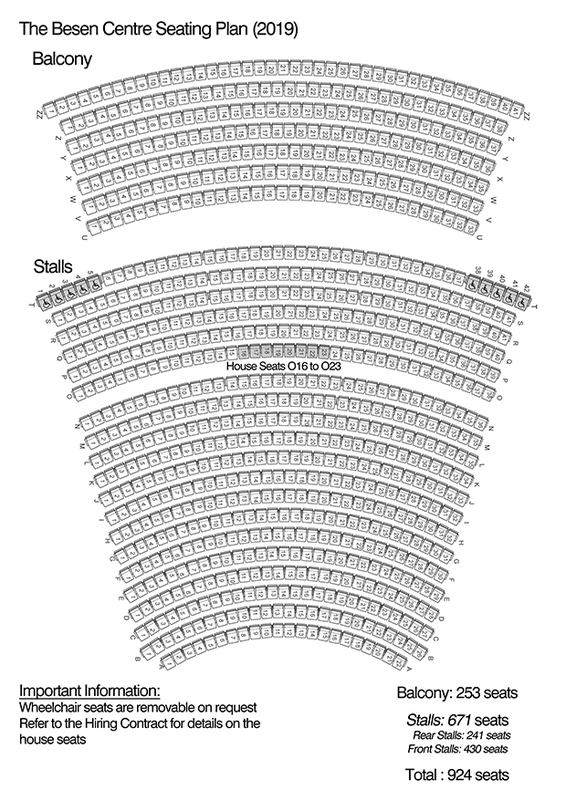 Seating in the stalls of the Venue (as marked on the seating plan on page 27) caters for the physically impaired. From this location same level access is possible to all stalls foyer services where a dedicated toilet for the physically impaired is located and access to the car park where spaces for the physically impaired are adjacent to the front doors. Back stage is all on one level with a toilet for the physically impaired and a physically impaired shower. Seating for the physically impaired is printed on the ticket returns of tickets supplied by TMS (see section 6.1 on page 18 of the contract). The Venue has 100% coverage of the proprietary hearing aid loop system that may be accessed via channel ‘Z’ on the hearing aid control switch. The stage dimensions are as shown on the enclosed drawing. The stage includes an orchestra pit which, when fully utilised can accommodate up to 30 musicians. The stage surface is masonite painted matt black. Forty-nine sets of single purchase, counter weight, fly lines are available to hang and fly lighting and cloths and built scenery. One of these sets is dedicated to the house curtain sixteen additional sets are used for lighting, masking and house cloths whilst two sets are utilised as panorama sets. The musical equipment within the Venue has been selected to cater for both stage and pit performances. The grand piano is limited to stage use whilst the upright is allotted to pit use but can also be used on stage. 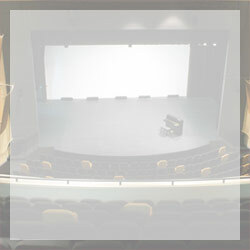 A fully integrated Meyer sound system is included within the Venue, which utilises foldback in mono and stereo for the auditorium speaker systems. 2 Radio Microphones receivers with either hand held transmitters or lapel transmitters six additional radio sets are available on request but attract an additional charge. A stage RGBA colour mix system with white orchestra lighting and specials over the stage complete with decal wash.
A 1-colour front of house wash upstage and downstage left, centre, right with 8 specials. Balcony fill and Perch in 2 colours. Further to the above equipment a moving light suite is available consisting of eight Robe 300e or Fineart™ 700’s. This suit of equipment attracts an additional charge, which includes operator-programming time. The Venue is equipped for HD projection utilising Composite or computer input. 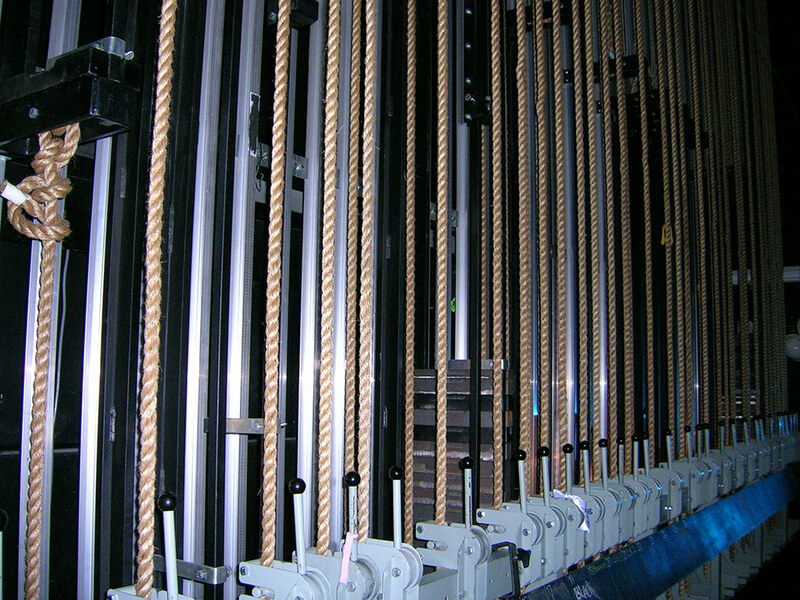 Switchable from both stage or control room. The projection equipment attracts an additional cost and the projected image is the responsibility of the hirer to supply. An area, as indicated on the enclosed plan, exists as set assembly and or storage. Scenery storage may be available between hiring dates with prior TMS approval. 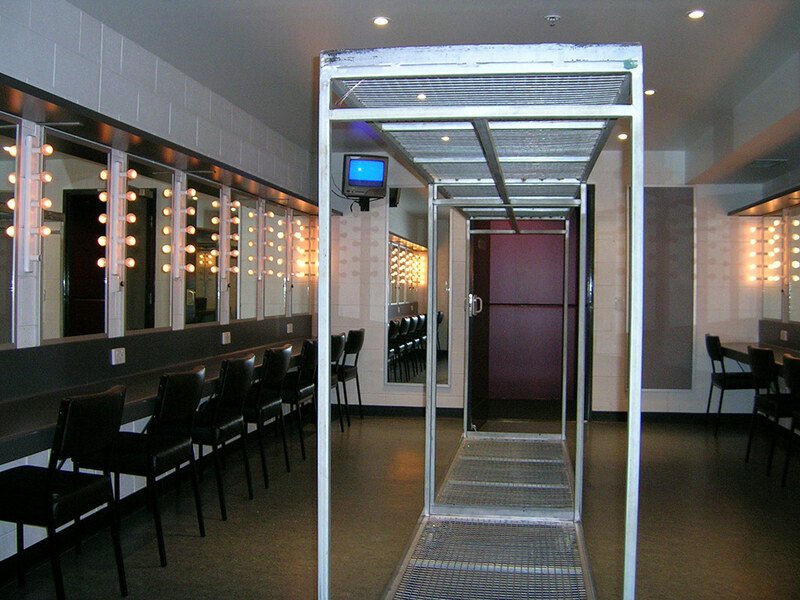 One seven-person dressing room and two twenty-person chorus rooms are available. All rooms contain a dressing room table with mirror and adjustable lighting for each position. 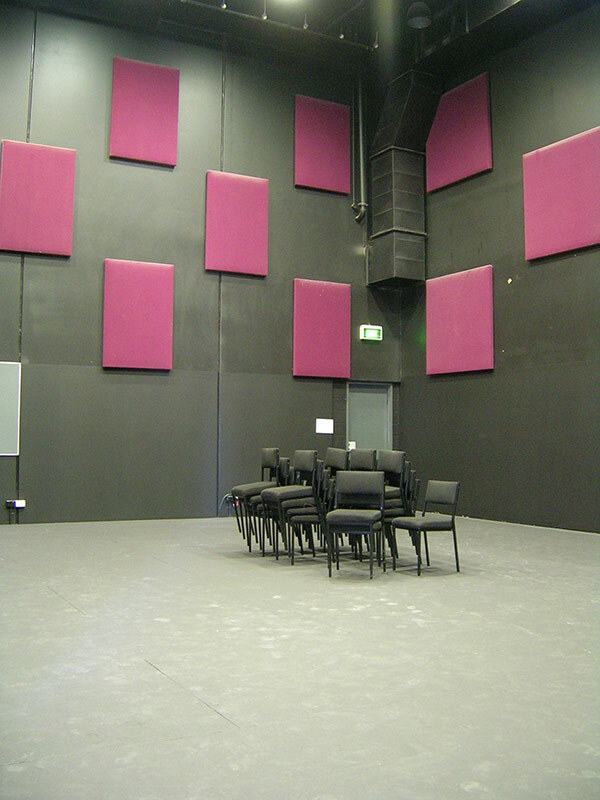 A rehearsal room that is the same size as the acting area of the stage is located within the Venue. The room has all of the facilities that the stage has including a sprung dance floor and a lighting grid. The Rehearsal Room is available from 5pm to 11pm Monday through Friday and all day at weekends with prior approval. A green room for the use of the visiting company is supplied which includes kitchen facilities a hot water service and a fridge. Two visiting company offices are supplied for the exclusive use of the Hirer. These offices are equipped with a desk and chairs plus a telephone line to all of the areas within the building. External lines are available and calls to external numbers will be charged to the Hirer’s account. The sponsors’ lounge is located at the rear of the stalls and has a panoramic viewing window to the stage and stereo sound. 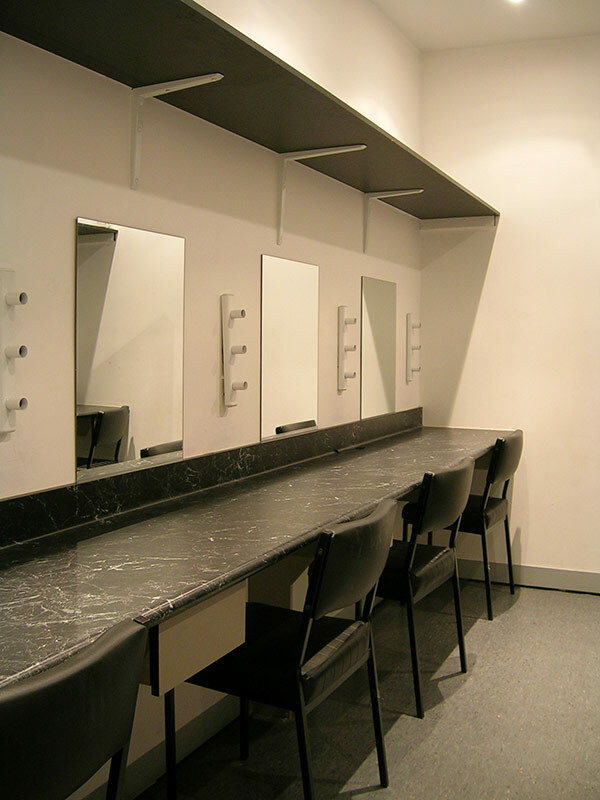 The room can cater for pre show, interval and post show entertainment for up to 22 people alternately the room can be used as a box increasing the theatre capacity by 10 persons. The room attracts an additional charge and catering is available upon request. The stalls area contains six female toilets, two male toilets and urinal and a disabled toilet, which includes baby change facilities. The dress circle has two unisex toilets and the control room has a non-public use unisex toilet. In the back of house areas the male toilets have one toilet a urinal and two showers the female has two toilets and two showers and there is a disabled toilet and shower. The car park can cater for up to 320 vehicles and attracts a charge per vehicle on exit via automated boom gates. The money collection system to activate the gates will accept coins from ten cents through to two dollars. Two 160 amp 3 phase power supplies along with two 40 amp 3 phase power outlets are available for the connection of temporary and or touring equipment. The building is monitored by an extensive system of smoke detectors and is fully protected with sprinklers, fire hose reels and extinguishers. The system includes an emergency evacuation system that can operate manually but will also operate automatically if left for a predetermined time without intervention.